If war is hell, then the Holocaust must be its horrifying centrepiece. The atrocity was the nadir of modern civilisation and remains an occurrence almost impossible to truly comprehend. For all the attempted incarnations, the Holocaust remains a divisive subject to represent on film. There’s always a danger of turning such an horrific event into a mere spectacle or a puff piece of entertainment, a criticism often levelled at Schindler’s List. It’s telling that the most revered piece of filmmaking on the Holocaust is the mighty documentary Shoah which features no fictionalisations or archive footage. Instead of speculative re-enactments Shoah uses over nine hours of first hand interviews and testimonies, including former Nazi officials, to preserve a degree of truth and comprehension before time washes such witnesses away. 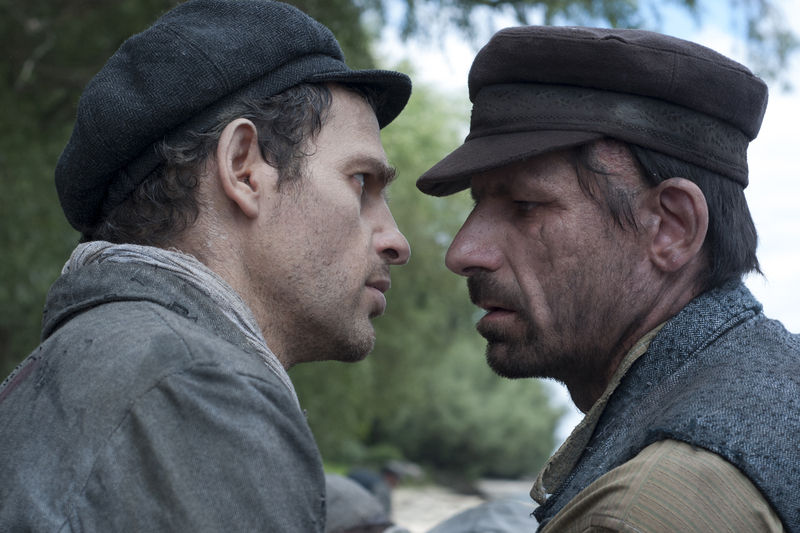 Beyond subject matter, László Nemes’ directorial debut Son of Saul appears to have little in common with Shoah’s exhaustive search for the truth. 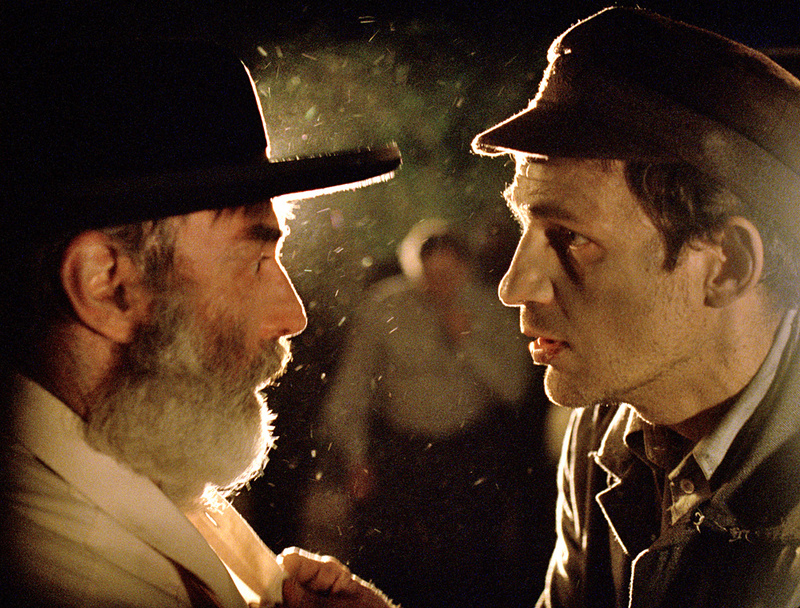 Nemes’ film uses fiction to once again drag us into the dark depths of the concentration camp, but where Son of Saul matches Shoah’s impact is in its attempt to expose the psychological effects of the Holocaust. Son of Saul doesn’t endeavour to understand the Holocaust; rather it aims, and succeeds, in portraying the psyche of man under the strain of unthinkable evil. The bigger picture is irrelevant, instead we’re privy to what hell looks like and how it warps our sense of morality, rationality and humanity. It’s an audacious and outstanding film that accompanies Shoah has a vital artefact in understanding the unimaginable. 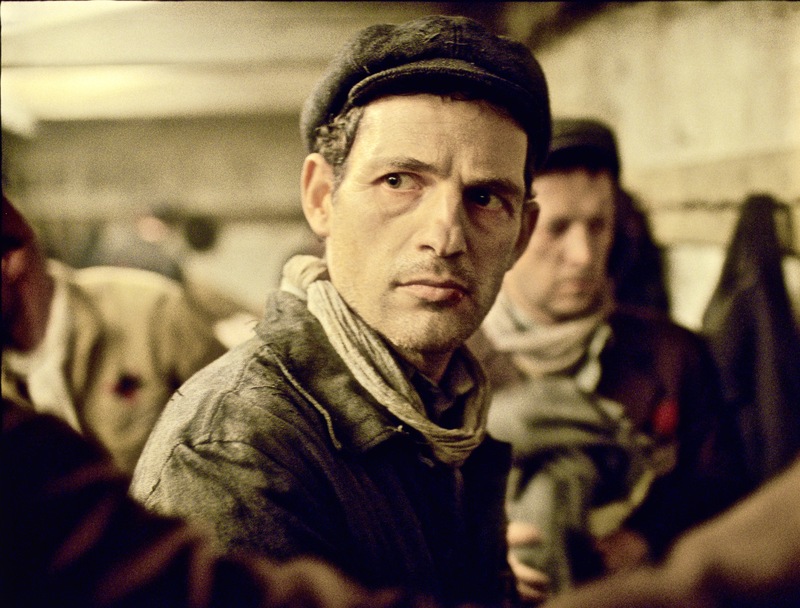 Son of Saul’s focus is on one man, Saul (Géza Röhrig) – a member of the prisoner enlisted work unit known as the Sonderkommando in extermination camp Auschwitz. There is nothing before or after Saul, he is everything within the film. The first shot is a static defocused one into the middle distance. Soon a man, we later learn is Saul, hurries up to the lens before darting off amongst a crowd of people. The camera chases behind him, letting his movements dictate our progress and view, and never again leaves his side. There are no establishing shots, no cut aways, no focus changes, no detours, just a relentless focus on Saul’s movements in the camp. It’s a hugely disorientating experience as the full picture is never afforded to our gaze, instead we live vicariously through Saul’s eyes and ears. Of course historical knowledge means we know what’s taking place in Auschwitz, but the decision to obscure exposition and context through Saul allows us to understand life inside such an alien environment. Saul harries through the camp carrying out various jobs and duties at a gruelling rate; leading the, mostly, unsuspecting victims to the gas chamber, aiding the removal of their corpses, loading the crematorium and collecting the ‘shiny’ possessions left behind. The fact these tasks are directly contributing to systematic murder becomes almost irrelevant as they exist in defocused fragments. Saul becomes the hypnotic focus of our attention and in the process gives a persona to the proverbial cog in the machine and distorts the evil grand scheme he’s coerced into abetting. Saul readily leads Jews to the slaughter without as much as a sigh of regret, but it’s impossible to feel rage against his indifference. He’s a sickly gaunt figure dead behind the eyes as his stare burns through the camera into a vacuum beyond. He shows no regret, but neither does he appear to feel despair, fear or pain. Quite simply, he feels nothing. Saul has been completely dehumanised by his experiences in the camp. He’s not indifferent to the suffering around him, he’s merely so broken he’s lost the ability to empathise. What’s left is the shell of a man who simply operates with the bleak efficiency of a tool. Survival, or at least existing, is his purpose until he sees a boy, whom upon miraculously surviving the gas chamber, is smothered to death by a Nazi doctor. Saul then has an epiphany; he must give this boy the correct Jewish burial. His singular focus on work is transferred to burying this boy (who may or may not be his son) at the expense of everything else. This morale duty, surely sparked by a maddening delirium, drives his being and becomes his obsessive shot at redemption. It’s a visceral journey as we’re plunged into the hellish camp. We can feel the sweltering burn of the furnaces, the filth that chalks up on Saul’s face and the bustle of bodies as crowds herd like cattle. The demanding viewing experience is akin to spectacular Hard to be a God, albeit far more rewarding than Aleksei German’s long-winded epic. Complimenting this sensory ordeal is a strong emphasis on physical human contact during exchanges between Saul and his fellow prisoners. Their fleeting interactions edge between a loving embrace and a threatening clasp. With death dominating life, the human touch becomes a subtle reminder, and release, of emotions that have long since been driven into the shadows. If Shoah showed us the truth of what happened in the extermination camps of Poland, then Son of Saul shows us what it was to endure such a reality. The film is an expectedly difficult watch without ever lapsing into gratuity or shock. What makes Nemes’ film so significant and vital is that it asks us difficult questions about what people are capable of under extraordinary circumstances. It’s not just that Saul is dehumanised to the point of seeing genocide as a series of jobs, it’s the fact he’s indifferent to both life and death. Saul’s morality becomes so skewed that he shuns, and in all likelihood condemns, his comrades who rely on him to help plot a revolt. “You failed the living for the dead” his fellow prisoner accuses of him, Saul chillingly replies “We’re already dead”. It’s the emergence of the boy’s body that becomes a beacon of hope for Saul, a shot at decency and redemption for his tortured soul. The proper Jewish burial of a child isn’t going to prevent genocide or aid the war effort, but it may just save him. 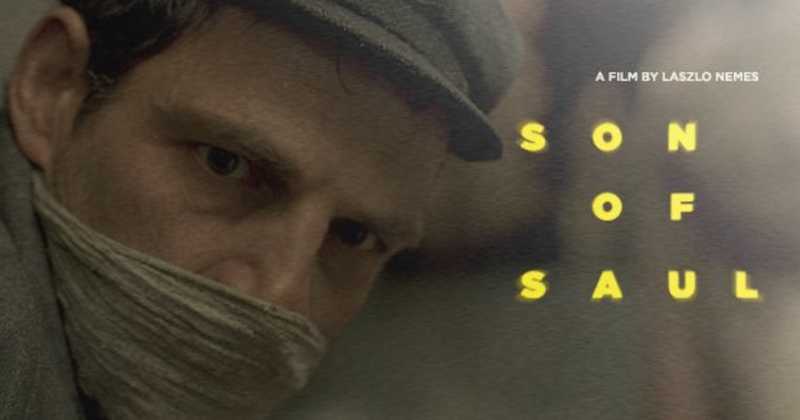 Son of Saul is so compelling because under the darkly fascinating backdrop of Auschwitz is a story about what man must do to satisfy his own existential needs. Perhaps this isn’t always the most beneficial or logical decision for society, certainly not in the case of Saul as he sacrifices the barely living for the dead, but it’s what we must do to cope with ourselves. In the final moments of the film we see something quite extraordinary – a hallucinatory sign as to whether Saul’s mission has been a success. It’s in this superbly clever finale that we realise tragedy and triumph are inseparably entwined, debunking our traditional preconceptions of what constitutes survival and success in context of not just the Holocaust and war, but life as a whole. Some very disturbing stuff, but it totally deserved to be. Nice review.